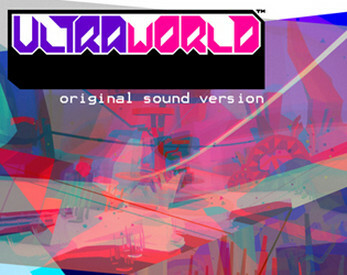 Soak up the eclectic music of the unique indie abstraction known as ULTRAWORLD. Find your favorite chair and take in fourteen songs that feature spaced out ambiance, catchy orchestrations, and toe-tapping beats. The sole creator of the game was also the sole creator of the soundtrack so these songs are tightly linked to a specifically designed audio-visual experience. While originally composed to compliment the vibrant landscapes of ULTRAWORLD, this unusual mix of songs easily stands on it's own. So throw on your headphones, sit back, and enjoy!